Our touch screen display protectors are custom fit for the Wacom Cintiq 22HD. 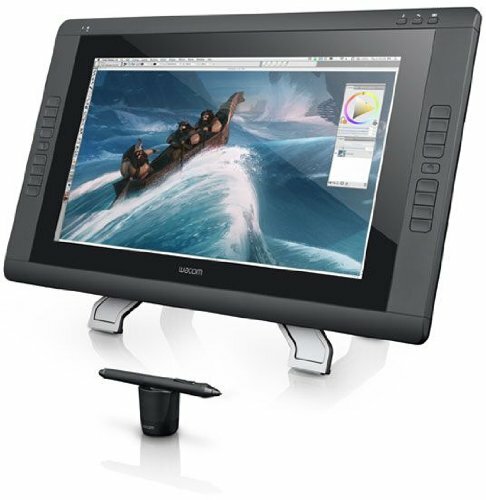 Extend the lifetime of your expensive Cintiq 22HD and keep it looking like new with one of these shields! These patented Touchscreen Protectors are made of durable, 0.005" thin material, yet are stiff enough to stay flat on the screen without warping during use. They install easily and provide a pleasant-feeling touch surface, reduced glare, and can be easily removed without leaving any kind of residue. Protect your valuable and expensive display today! These protectors are manufactured and sold exclusively by POSRUS. If you don't buy it from POSRUS, you're getting something else! Please note: If you are purchasing more than ten protectors, make sure you contact us as the posted shipping prices only apply to ten protectors or less. Highly transparent film provides added screen contrast and brilliant colors. Installs easily in seconds, can be removed without leaving residue. Filters out 99% of UV light from reaching your screen or reflecting to your eyes.